Share the post "Elizabeth was fighting a fibroid problem, without even knowing it." Elizabeth was fighting a fibroid problem, without even knowing it. Annevia was in pain and frightened. FTC got her back to health. I have three daugthers and I think that the fact that this option is out there is very great because I would not want them to have to have a hysterectomy or not be able to have children. Lola couldn’t believe how easy treatment was. Or how happy it made her. 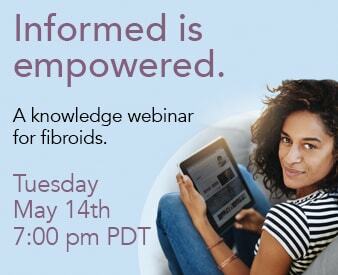 Honestly I would say if you have fibroids, please take control of your body, of your life, do the research, because there are options.